Home Uncategorized	Simple eye test to detect severe malaria! Good for unhygienic, poor malaria-prone regions! Simple eye test to detect severe malaria! Good for unhygienic, poor malaria-prone regions! Suspecting your child with malaria? But, fearing the painful shots he is not allowing with the tests? Here is a simple solution recently discovered by a new study. It is a simple examination of the eyes that can diagnose cerebral malaria in children! The cerebral malaria — a severe complication — is difficult to detect as patients can be unconscious and have a number of other illnesses. In this disease, the Plasmodium falciparum parasite infects capillaries flowing through the brain tissues. 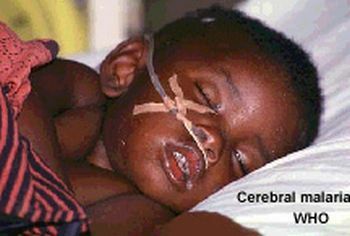 According to a report by Scidev.net, the mortality ratio in cerebral malaria is 25-50 percent! Nick Beare of the Royal Liverpool University Hospital led researchers while analyzing the retinas of 45 children admitted to hospital in Blantyre, Malawi, with cerebral malaria, found white opaque patches and whitened blood vessels on the retina were unique signs of cerebral malaria. The other signs include bleeding of the retina and swelling of the optic nerve. What is required to make a successful diagnosis is an instrument – ophthalmoscope — commonly used in Africa for studying eye disease. That’s all! A ground breaking discovery for regions with malaria outbreaks but poorly and unhygenically equipped. ← Concentrating Photovoltaics to make solar energy cheap…!